The view over the courtyard from the second floor. Banksias, tree ferns, magnolia. It had two huge Banksia trees, some smaller Banksias, some large tree ferns and a Magnolia. There were two benches next to each other where people had lunch together. 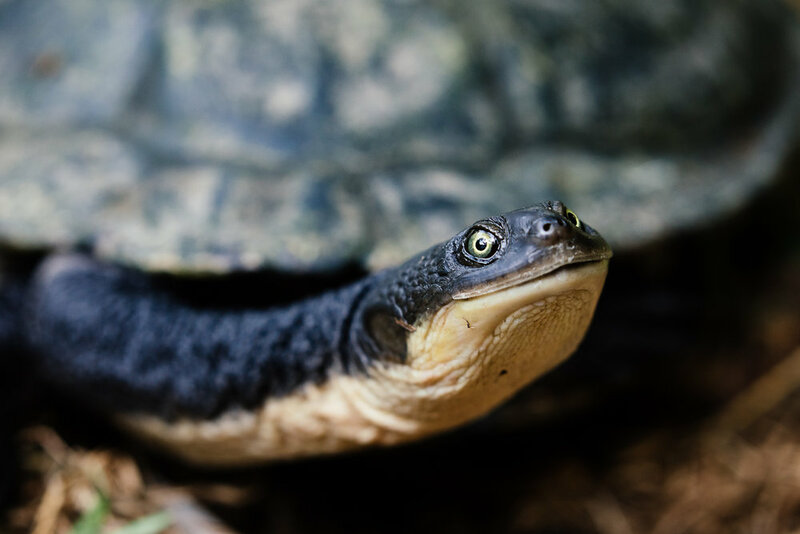 It had a pond complete with reeds, turtles, fish, and a mythical eel. 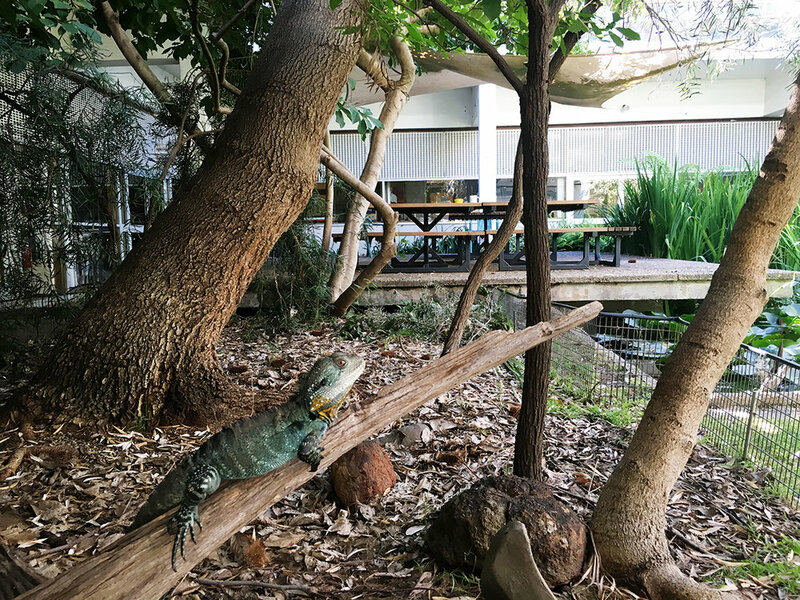 There were tame water dragons and a blue tongue lizard running around catching insects and trying to steel cheese from lunch boxes. There used to be a pair of shingleback but they disappeared a while back. Every now and then a heron would drop in and hunt for fish in the pond. It was literally the perfect place for a bunch of botanists and zoologists to hang out. The water dragons were seriously cool. I think they were everyone's favourite. 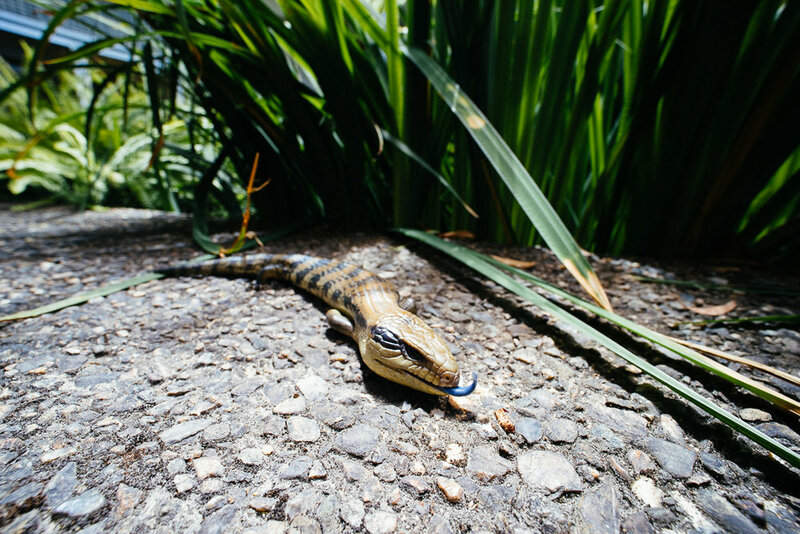 The resident blue tongue lizard. All of us that worked in that building will keep fond memories of that courtyard. 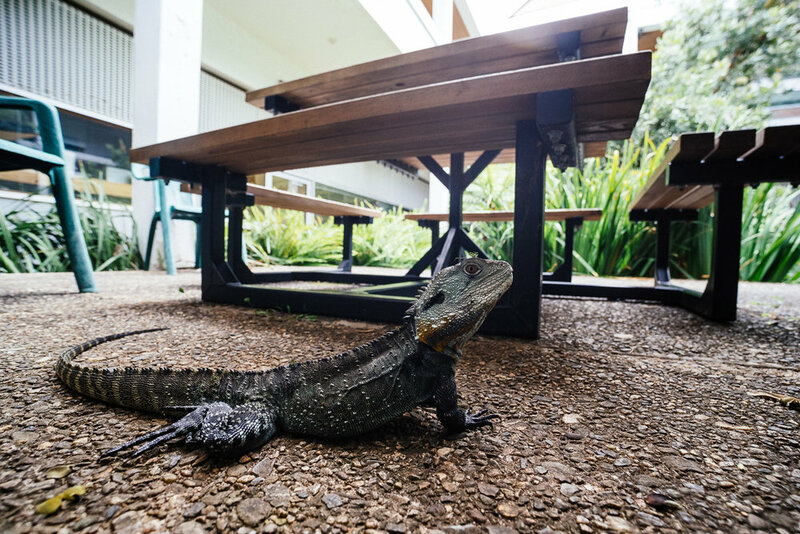 One time I remember I was trying to eat lunch while two water dragons were vigorously chasing each other around - and mating. Some days, the blue tongue lizard would creep up on unsuspecting folk wearing thongs and lick their bare toes. 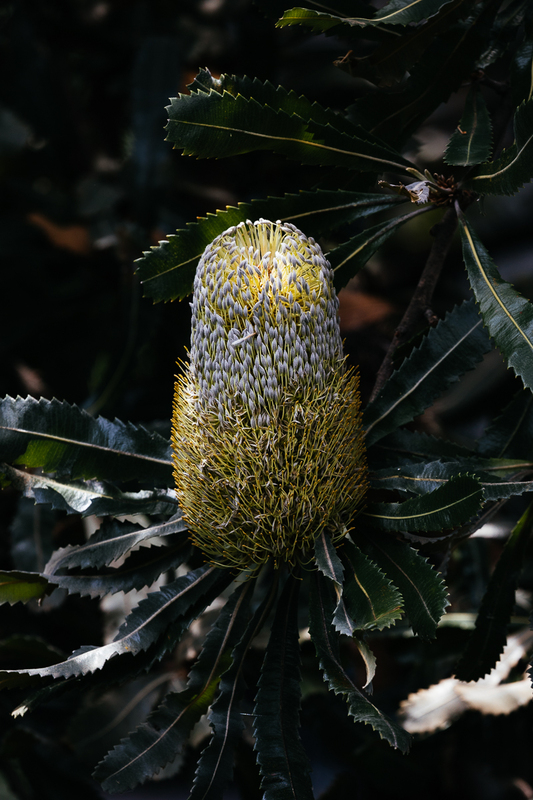 It was always so beautiful when the Banksias would start flowering en masse and wattlebirds and honeyeaters and rosellas would come to visit and feed. The Banksias were truly stunning. In February this year we were all moved to a new building. I was gutted. All of this wonderful nature was virtually inside our building. Before we were finally kicked out, I took my camera into uni and made sure I got a few photos of this magical place. The turtles were pretty weird. Funny animals. Needless to say we don't have quite the same lunch area in our new building. I miss the Banks courtyard and all its inhabitants.